Easier said than done, yes? 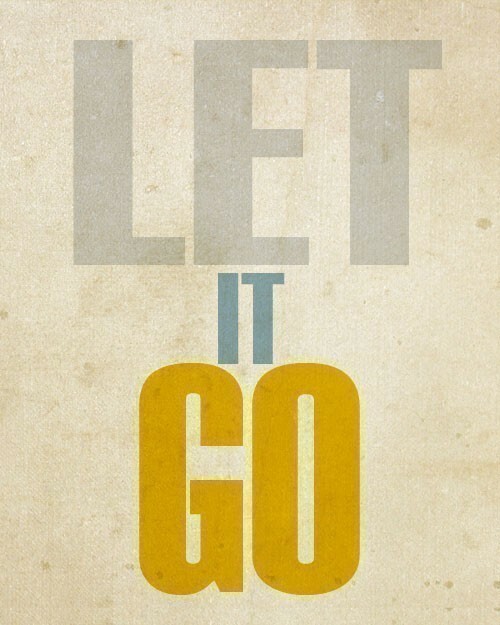 Letting things go has always been hard for me. I overthink, I dwell, I get upset, I feel uneasy, I want to make everything right. I wish I had the ability to let go of things that I cannot change. & not worry about what someone else thinks, if I cannot change it. I do the same thing... sometimes I write a list of the GOOD so if I start thinking negatively I can glance over and remind myself to forget about it!